Welcome to Tim Seifert's website, it's a mixture of my personal stuff and my work. My name is Tim, and I work with cameras (video, film & digital) on a professional and personal interest level, hence the domain name, and that's what the site will mainly be about. I've been working for myself since around 1991, doing video production work in Modbury, South Australia, using everything from cameras that weigh as much as I do, to those light-weight things that you can almost fit in your pocket. (Perhaps, if you were an arctic explorer, with a big jacket…) So, if you're looking for me, or someone to do that sort of work in this area, you've come to the right place. I don't just work in my own area, and I do other things as well, so head off to the business section to find out more. Yes, we do wedding videos and take last minute bookings. Filming performances at the Adelaide Fringe Festival and other no budget video productions. Alternatively, for those not wanting to hold back, we can do big budget productions, too. 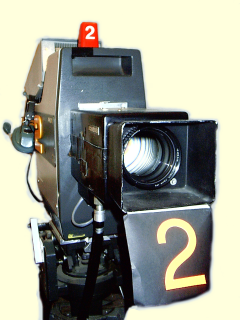 For those bigger budget productions, we now have P2 and XDCam cameras available to us. Sorry, but the hosting service that used to run my website has been bought out, and the new one broke the entire website because they use a different webserver that doesn't provide the same features as the old one. It's taking me time to sort this out.